Featured Contributor Clifford Michaels reflects on troubled times in history and their parallels to today and suggests how we can move forward to create a more unified and peaceful future. We are in a time when the human spirit is being challenged. The choices we make as a society will be felt for many years to come. Our focus must change from self to each other, and this applies to the global community, as well. This is a time for taking inventory of our purpose and what we want from life as individuals and a civilization…beyond material needs and what our egos perceive they need to feel satisfied. It is a time to reach out and help others in need. Whether we admit it or not, many of us need emotional healing in one form or another, and we need this healing from other people; money does not do this. As we heal, our hearts naturally open more and become an empowering source of support for others. This sets an example and becomes an opportunity for others to see and emulate the loving, unifying behavior. All that matters is what is within your heart; this is what God sees. If your life is filled with love, it doesn’t matter how many possessions you have. Love is true currency and something that can be shared and passed on to others. As others receive your love, it shifts them closer to their purpose and enables the love to be passed on again and again, creating a chain that gains more strength with each link that is added. Eventually, this chain can circle the world over and over again. Many in the world, in the name of power and control, restrict human rights, even killing, torturing, and manipulating others for personal gain. Not only does this prevent those being hurt from fulfilling their destiny, it is a great setback for those using power irresponsibly. Nation upon nation rising with swords and, still worse, swords upon their own citizens spreads fear and hinders our ability to evolve as a civilization. We as a global community have a responsibility to act together. Too often it is the same countries that get involved, such as the United States acting alone or with just a few other partners. All nations need to act in unison to stop the violence and bloodshed all over the planet, or it will keep popping up where it sees weakness. Those who attain power are presented with an opportunity for personal growth, as well as having a larger-scale impact to guide history. There are powerful leaders in countries throughout the world that can exercise their will, and their ego, and make decisions that impact millions of people. Mikhail Gorbachev, the former prime minister of the Soviet Union, put his ego aside and set an example for humanity by granting freedom to millions of people who were imprisoned by the Iron Curtain. Former Iraqi president Saddam Hussein was on the opposite end of the spectrum, and he paid for it with his life. Those who are leaders have the potential to further both individual and global evolution with the choices they make. How they deal with that responsibility is what is at stake here on a personal as well as a soul level. Often it is fear that causes people to do horrible things they otherwise could never conceive of. Fear-motivated behavior goes on throughout the world and its used for justifying decisions, and these consequences affect many innocent people. Since everything is energy, the darker emotions of fear, violence, hate, anger, and desire for revenge can be passed to others as well as can specific physical actions. Once in power, even initially well-meaning people often fear giving up control. We see it in a variety of circumstances in business and politics. We see it every day in larger settings with leaders of countries. The atrocities that have been discovered throughout history are hard to even grasp. Too often, it appears that some leaders have focused upon themselves and lost the ability to feel empathy or compassion for the people. In their greed to hold on to tor expand their power, they lose their human kindness and respect for life as if they are above it all. The truth is that there is really nothing to fear, so all these fear-based actions are not necessary or productive. Human existence is a temporary state for learning and not our eternal, continuous identity. When we leave this material form, we return to the bigger part of who we really are. Fear fills us with a false identity; it takes over when we believe we are less than we are. Too many fail to believe we are eternal beyond our physical existence. Once we embrace this reality we will better understand the deeds we do in this life, and what is in our hearts, will follow us into the Hereafter. Our lives are a learning exercise designed to help us evolve and to help develop our souls. There is great power in unity should we choose to embrace it. Let us have more faith in each other to find peaceful solutions for solving our difficulties. Clifford Michaels started his career as a Wall Street trader before moving into private practice. He has a B.S. in finance from Syracuse University and an MBA from the University of Pittsburgh. 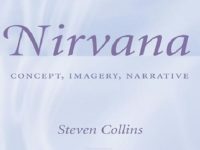 Following a reluctant journey of self-discovery, he developed the sensitivity to interact with the heavenly realm and now has one foot planted firmly in two worlds. He transmits energy for healing and words for communication from the “other side” and aims to raise humanity’s awareness of who they are and how they can reach universal harmony. 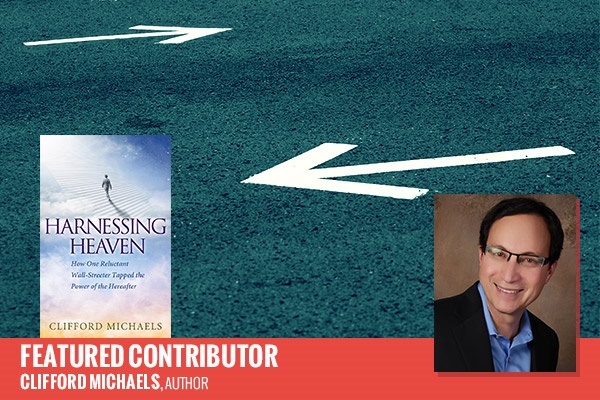 Harnessing Heaven is Michaels’ first book.